We get together every Tuesday and discuss a short science fiction story. August 14, 2018 meetup Houston, Houston, Do You Read? James Tiptree, Jr. Send me your suggestions for group readings! 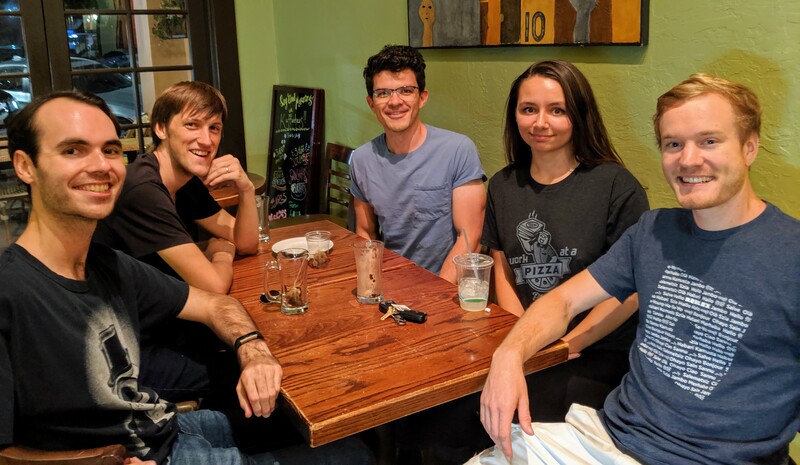 We get together every week in a coffee shop to discuss a science fiction story. We've been meeting for about 6 months and have had a good time covering a wide range of stories. My personal favorites are Charles Stross, Iain Banks & people like that, but we also read that weird 70s SF from John Varley, and go back to the 50s sometimes too. The spot is basically a cafe with cakes, coffee, but it also has craft beers. The earliest story we've read comes from 1937, and the most recent from 2017.